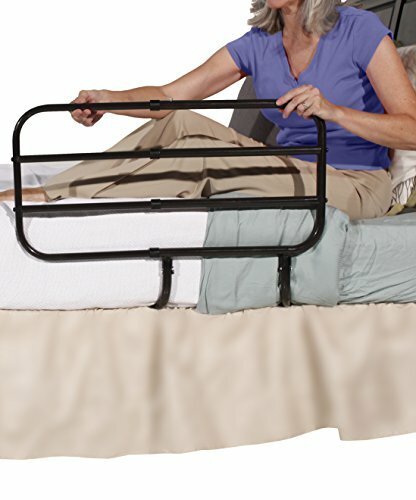 The extend-a-rail is one of our most popular bed rails because it extends in length for full-fall protection at night. It can be used as a hand-rail to get in-and out of bed - and can be extended to 30inch inches with the push of a button to prevent nighttime falls. It comes with a convenient organizer pouch to keep handy items close by; and like all of our bed rails, it blends in with your bedroom (like another piece of furniture) so you can maintain the comforting feeling of your home. If you have any questions about this product by Able Life, contact us by completing and submitting the form below. If you are looking for a specif part number, please include it with your message.